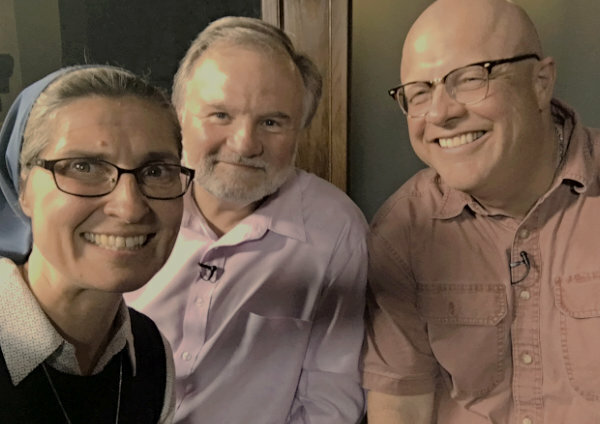 Writers Cary Solomon and Chuck Kozelman of God’s Not Dead fame that grossed over $60 million at its release, have teamed up again as writers and directors for a film based on the true life story of Abby Johnson, Planned Parenthood clinic director become pro-life advocate. Based on the book by Abby herself, called Unplanned, the film stars Ashley Bratcher (90 Minutes in Heaven, War Room) as Abby and follows her interest in helping women when still a college student at Texas A&M. This riveting story tells of her volunteering at the local College Station Planned Parenthood, believing the corporate marketing scheme that they are about providing women’s health needs. She moved up the ranks and became the youngest clinic director in just eight years time always desiring to make a difference in people’s lives. It wasn’t until 2009 when she was called into the back room of the clinic to assist with an ultrasound abortion that she saw the unborn child physically try to run away from the suction machine. At that moment she realized what she has been doing—allowing over 22,000 abortions such as this one! 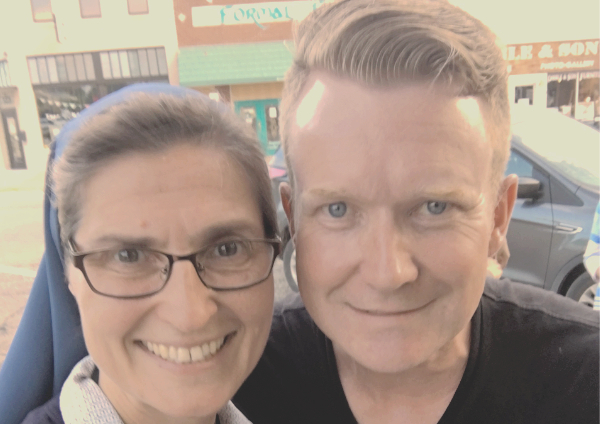 She immediately quit her job and began a painful period of healing for herself who had had an abortion, her husband who was pro-life and endured her career, and for all the women she helped to have abortions. Her story uncovers the deceptions of the abortion industry but especially of Planned Parenthood. Abby says that when she was about to get married her boss at the clinic told her not to get married because that would lead to babies and less time available for work. When pregnant with her daughter, Grace, her co-workers kept teasing her that it’s not too late to end the pregnancy and avoid the inconvenience. “The abortion industry is not just a tragedy for mothers and the unborn, this is an attack on the family,” she says, “trying to dismantle families and marriages.” Having been on both sides of the issue, Abby feels that this film can reach many people who are on the fence about the abortion industry as well as those who support it, like she did, without really understanding the system. Regarding the film, Abby comments, “It is important that this film be an accurate account of what abortion is, of what an abortion facility is…we want it to be authentic.” When Abby leaves her job at the clinic, Planned Parenthood slaps a gag order on her to keep her quiet, but Abby’s desire for the truth stands strong. Abby Johnson speaking about her experience. The filmmakers both believe that after this film Unplanned is released, abortion, as we know it will, “become unhip and uncool in society.” “We are simply telling Abby’s story,” says Solomon, “but it’s a fascinating one.” Their desire is to show the humanness on both sides of the spectrum while revealing the truth. “The Creator has a sense of humor,” says Kozelman. “We are just two guys used to doing action films here working on a chick flick about human reproduction.” However, both directors feel called by God to do this project along with the other faith-based films they have written. They had a group of people praying on the set while filming undercover in Stillwater, Oklahoma earlier this year. Solomon says that, “This project may be the torpedo that hits the ship but doesn’t sink it,” he continues, “but it will be a fist to the face where you will have to respond.” Kozelman hopes that it will help millions of women and men to acknowledge their grief over their participation in abortions and lead them back to God. In this age of visuals, perhaps a film such as this can truly make a significant difference if the story is done well, because it is based on actual events. Abby can sincerely say that the majority of people working for Planned Parenthood are told only what the marketing machine wants them to know. Planned Parenthood deceives, just as we are discovering through the undercover videos by David Daleiden to expose the truth of their illegal selling of human fetal tissue for research. Society needs to see Planned Parenthood for what it really is. 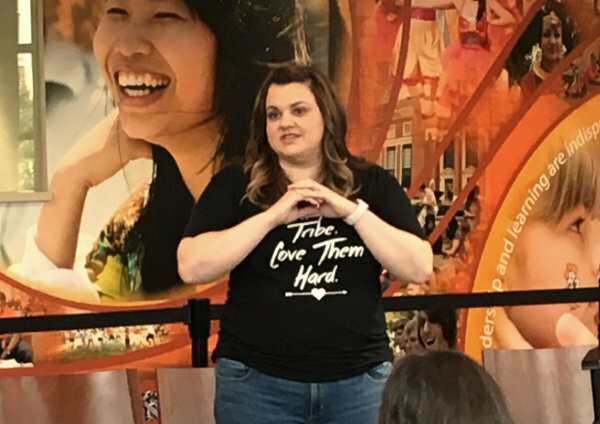 And, Abby Johnson is helping to make that happen through her non-profit organization And Then There Were None that assists abortion clinic workers to find a way out of the industry, seeking to end the abortion industry from the inside out. And, hopefully this film Unplanned will expose the truth more poignantly, as are other recent films such as Roe vs. Wade and Gosnell: The Trial of America’s Biggest Serial Killer, which is set to screen in theaters on October 12th. One of the producers, Joe Knopp (I Can Only Imagine, Woodlawn) says that, “the heart of this story talks about the humanity of life,” and about knowing your own story. He continues with advice from his own life struggles, “Take time and understand your story. It is not by chance God created you and your journey. Don’t be selfish with it. Be willing to share it.” That’s what these filmmakers wish to do with Abby’s story—share it so that many others may come to know the truth about life. The film will be released in the Spring of 2019.